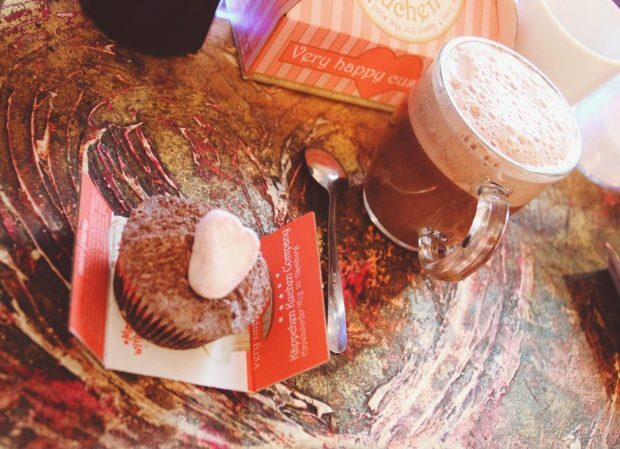 Is there anything better than to spend a cold day with a good friend, a cup of hot chocolate and fresh cupcakes? Fresh customized cupcakes to be more specific..
Custmized Cupcakes? Jap, das gibt es wirklich! 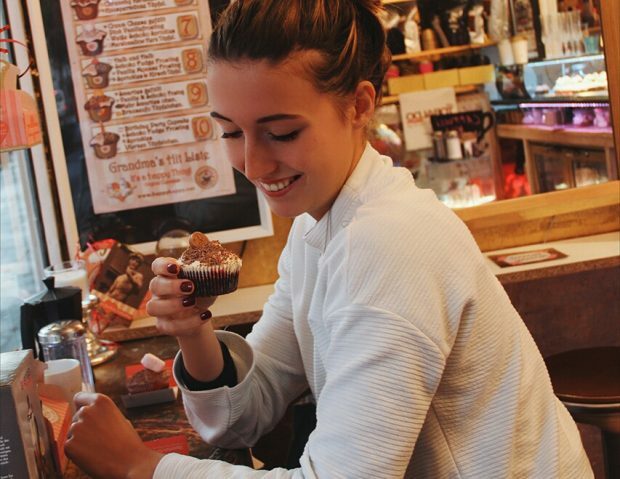 In der Käppchen Kuchen Company in Hamburg könnt ihr euch eure eigenen Cupcakes zusammenstellen lassen. Ihr wählt zwischen Vanille- und Schokoteig, sucht sich eine Füllung aus, einen Kern eine Creme und ein Topping- et voila! Der Traum-Cupcake ist fertig! Customized cupcakes? Yes, they really do exist! At Käppchen Kuchen Company in Hamburgthey offer customized cupcakes, besides the ones, which are already made. You can choose between chocolate- and vanilla-dough, then you choose a stuffind, a core, a creme and a topping and et voila! There is the cupcake of your dreams! Der Laden selber ist seeehr klein und es gibt nur wenige Sitzplätze, man kann die Cupcakes aber auch bestellen oder mitnehmen. Wenn man die Transportbox wiederverwendet gibt es sogar einen kleinen Rabatt, was meiner Meinung nach echt cool ist! 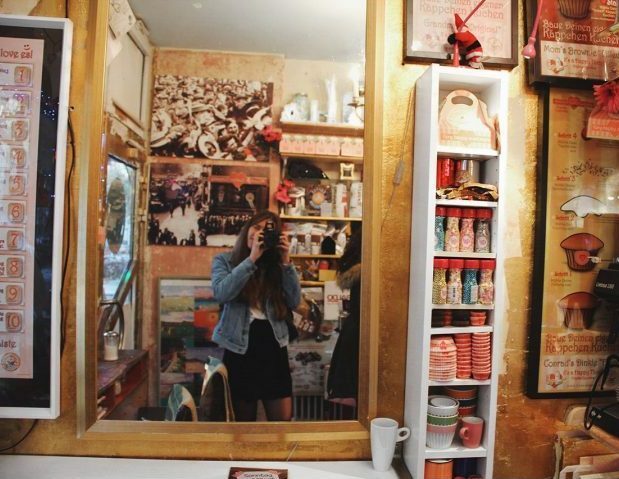 The store itself is really small. 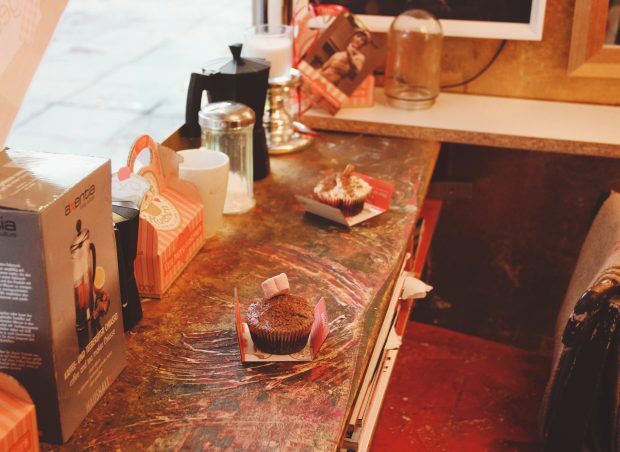 There are only very few seats, but you can order the cupcakes or have them for takeaway. There´s even a discount for reusing the takeaway-box, which is pretty cool in my opinion.